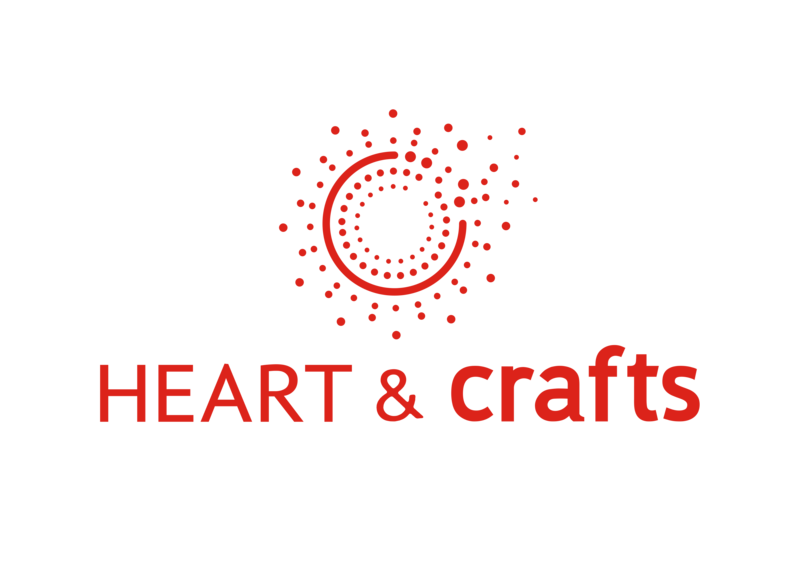 In the world of artistic crafts, the most beautiful alchemy happens when exceptional and passionate people come together. The art book ‘Mediterraneum’ is the epitome of this. Edouard Elias is a young photojournalist prodigy. At the age of 26 he has already offered his unique perspective on Syria, Ukraine, Burma and the Democratic Republic of Congo. In 2016, he spent three weeks on the Aquarius, a ship chartered by the SOS Méditerranée NGO to help migrants in the Strait of Sicily, to photographing refugees to tell their stories and record their plight. An equally precocious and socially committed artist, Fanny Boucher was 24 when she founded Héliog, the only professional studio in France specialised in the héliogravure photo engraving process. This unique reproduction technique, which was discovered in 1879, is so rare that only ten studios in the world still practice this remarkable art. Named Master of Art in 2015 by the Ministry of Culture, and a member of the prestigious Grands Ateliers de France, Boucher works with the most prominent photographers and contemporary artists, from Gérard Garouste to Yayoi Kusama, Willy Ronis, Zao Wouki, Yuri Kuper and Bernard Venet. Héliogravure results in the transfer, with a unique and striking result, of an image on a copper plate, using photosensitive gelatine. Treated with acid, the copper matrix is then covered in a thick layer of ink, which the engraver wipes off with a cloth, in a masterly and caressing movement, so that the only thing left of the Hahnemüle rag paper when the plate is put through the hand-turned intaglio press is the material necessary to the reproduction of the image. 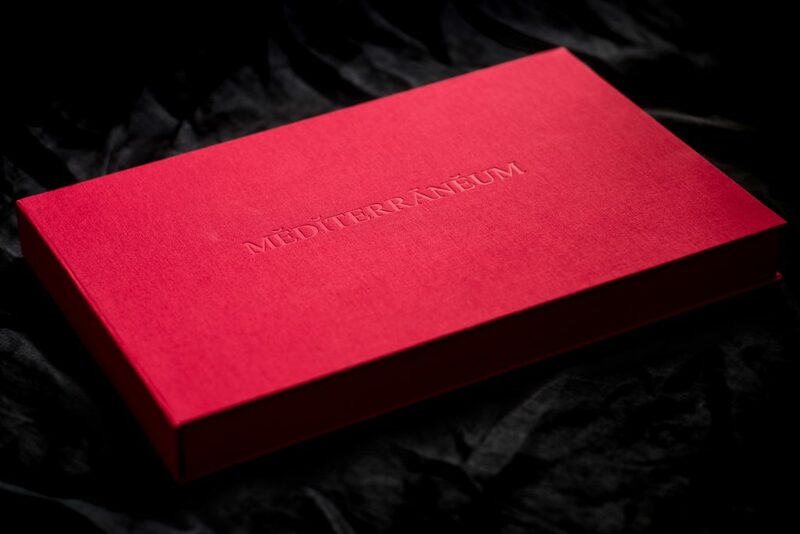 Together, they had the idea to collaborate on the creation of an art book, to preserve the stories of the ‘boatpeople of the Mediterranean’. 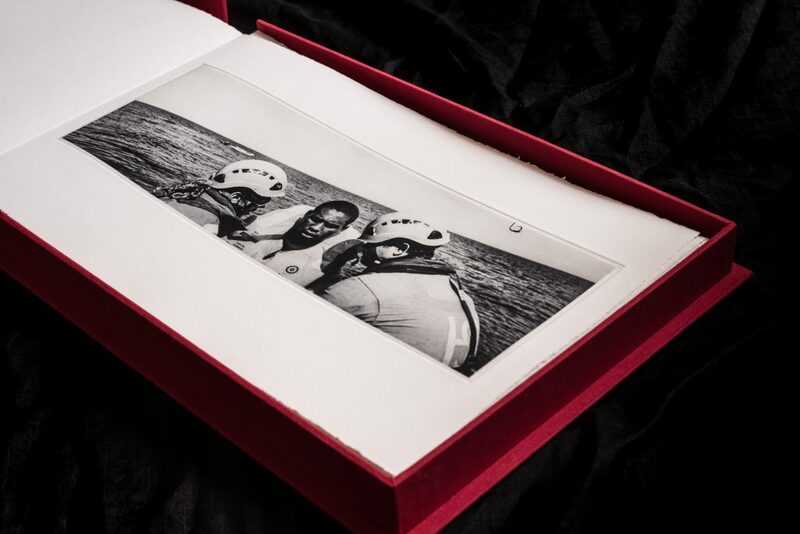 Elias’ black and white photos were taken in two formats, which alternate rhythms: a more dynamic digital format alongside a panoramic format that allows our eyes to linger on the subjects, and encompasses their environment – the sea –, which plays an essential role in this tragic and devastating tale. During eight “deeply moving” months, Boucher learnt everything she could about the migrants, immersing herself in their stories, and talking with Elias “to understand what he expected from [her]”. “Like with calligraphy, your emotional state plays a role, there is a continuity, from the body to the matrix. I lend my hands to the artist, but the head remains the artist’s, and I must understand what he wants,” she explains. 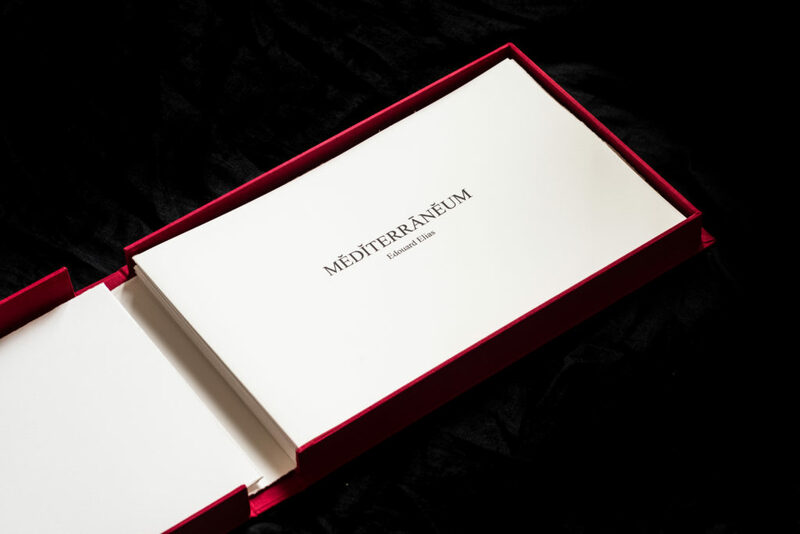 Twenty-five numbered copies of the book were created, which is presented in a burgundy linen case, the only touch of colour, suggestive of the life jackets that are sadly emblematic of the migrants’ plight in the Straight of Sicily. 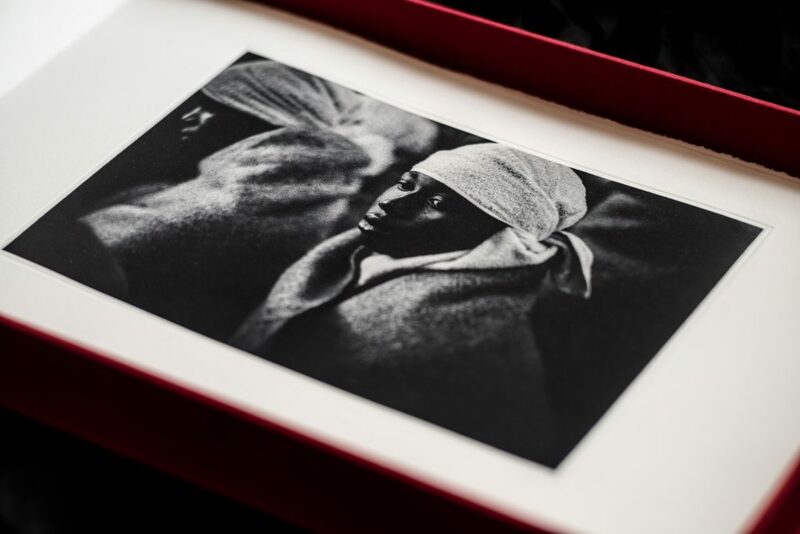 Elias’ photos were reproduced using the héliogravure process on Hahnemühle PH-neutral rag paper, with natural inks and pigments, and the texts printed on 300g paper by Stephane Guilbaud. 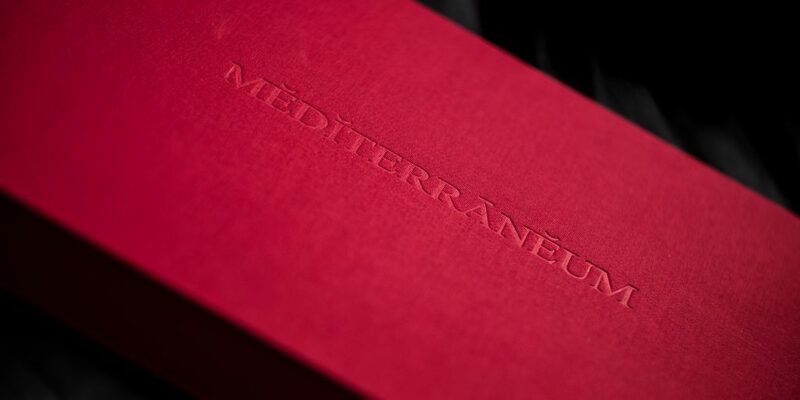 Twenty per cent of the book’s profits will go to the SOS Méditerranée NGO. 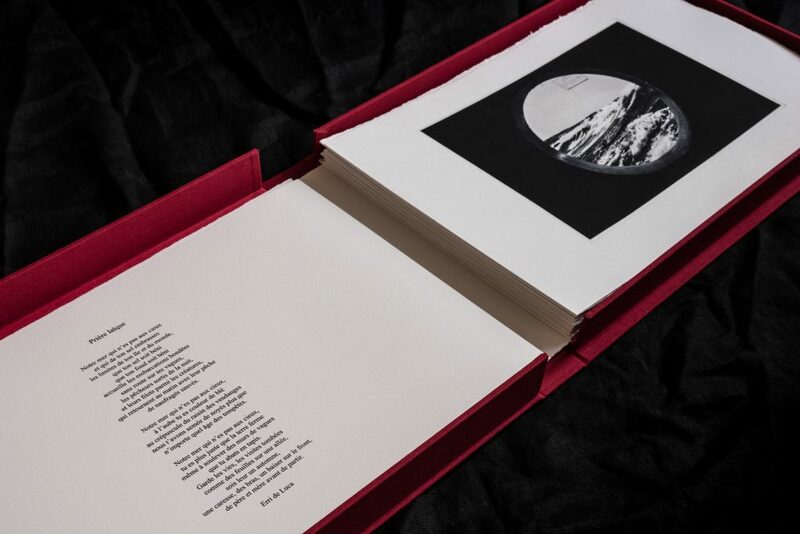 Fanny Boucher and Edouard Elias will be at the Rare Books and Art Objects Fair from 13 to 15 April at the Grand Palais in Paris, with a conference on Saturday 14. Kronik is an edition by the Hélio’g studio, born in the aftermath of the Charlie Hebdo attacks in January 2015, with the idea “of doing our bit with what we had,” explains Fanny Boucher. Specifically, that means walking the pavement with a portable intaglio press and talking to people. “The apron, the hands full of ink, that helps to create relationships, in particular with youths. We discuss an image that they help to print themselves and afterwards they leave with a héliogravure – a photo, a caricature…” The only objective of this entirely voluntary work is the democratisation of ideas, the exchange of views, meeting people where they are, in the street, in schools and universities, in prison. This year, the theme was mainly about migrants.